Trying to fit into favorite clothes that have become a bit snug? Stop punishing yourself with strict diet regimens. Instead, turn to intuitive eating, a practice that helps you become more in tune with your body’s hunger cues and lets you eat what you want. If you practice intuitive eating, there may be times when you simply won't want to eat dinner at the "normal" times. Dieting is the worst. Have you ever met someone who raved, “I’m on a diet; it’s totally awesome. I just love it!” Neither have we. What if we told you that you could lose weight, improve your nutrition, and increase your energy level—all without dieting? Meet “intuitive eating.” This non-diet philosophy of eating centers on a belief that we all are born with the ability to know when we’re hungry and when we’re full. Here’s how it works. 1. Eating for physical, not emotional reasons. Eating for physical reasons means a person eats only to relieve hunger instead of using food as a coping mechanism to deal with feelings such as anxiety, loneliness, sadness, or, yes, boredom. “The higher women’s tendency to eat for physical rather than emotional reasons, the lower their binge eating and food preoccupation,” say the researchers. INTUITIVE EATING: HARDER THAN IT USED TO BE? 3. Giving yourself unconditional permission to eat. No foods are forbidden when you practice intuitive eating. Instead, you can eat what you want whenever you feel hungry. The result, believe it or not, may be a healthier diet and lower calorie intake. “People who allow themselves to eat unconditionally are less likely to overindulge in food, engage in binge eating, and experience guilt when eating,” according to the researchers. Another important facet of intuitive eating, they say, is the art of practicing “gentle nutrition”—in other words, the ability to make food choices that promote better health while also tasting good. For example, people may choose foods to help promote energy, fight off inflammation, increase stamina, and improve cognitive function. “Individuals who practice gentle nutrition may ask themselves, ‘How does this food make my body feel? Do I like this feeling?’ and ’Does this food give me lasting energy? How do I feel after I eat it?’—and may use this information to guide their future food choices, but not in a rigid way,” the researchers explained. In order to become more attuned to our body’s hunger cues, we need to distinguish the difference between being physically and emotionally hungry, says Laura Hartung, MA, RD, LDN, CPT. Biological hunger cues are easy to recognize. They include symptoms like hunger pangs, stomach growling, and irritability. 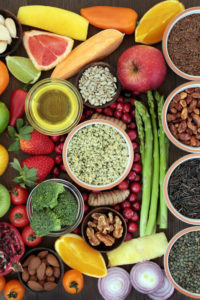 According to Rochelle Sirota, a New York-based certified dietitian-nutritionist, intuitive eating uses a hunger satiety scale that measures from 1 to 10. Number 1 is associated with extreme hunger while 10 represents a feeling of extreme and uncomfortable fullness. “Trying to stay closer to the middle numbers of the hunger scale is usually recommended by those who are proponents of the Intuitive Eating approach,” she says. You don’t want to feel too hungry, nor do you want to feel too full. What you need to do is trust your body to tell you what it wants, when it wants it, and how much you should eat. 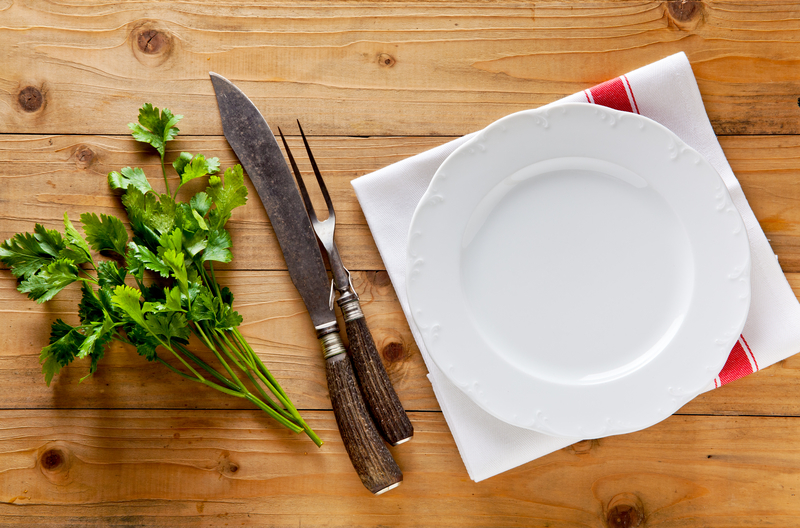 What’s a Healthier Way to Lose Weight: Intuitive Eating or Dieting? According to Sirota, the healthiest way to shed pounds and keep them off is by practicing intuitive eating. The reason: Intuitive eating doesn’t cause as much anxiety as calorie restriction. Is Intuitive Eating Good for Your Health? The short answer to this question is yes, says Sirota. In addition to helping you maintain a healthy weight and choose healthier foods, intuitive eating also helps you to avoid the uncomfortable feelings associated with being hungry or stuffed. “Tuning in to one’s levels of hunger and satiety can hopefully become a skill that helps in avoidance of states of extreme hunger as well as avoiding overeating to the point of discomfort,” Sirota says. Another bonus: Intuitive eating helps you foster a better relationship with food, encouraging you to eat not when you’re emotional, but when you’re hungry. With intuitive eating, Hartung says, “you balance your emotions to balance your eating. Plus, you give yourself unconditional permission to eat anything you choose. There’s no guilt about having a donut or slice of pizza. You become one with your decisions and accept them. Intuitive eating also helps you to achieve what Hartung describes as “body-food-choice congruence.” In other words, you learn to choose foods that make you feel good and energetic when you eat them. Military Diet: Quick Fix for Weight Loss, But Does It Work Long-Term? always hungry, anxiety, appetite, appetite suppressant, binge eating, calories, cognitive function, diet, diet plans, eating habits, emotional eating, food, food cravings, health, healthy snacks, healthy weight, how to lose weight, how to lose weight naturally, how to stop cravings, hunger cues, improve cognitive function, increase your energy, inflammation, keto diet, ketogenic, ketogenic diet, Lose Weight, low carb diet, mediterranean diet, military diet, mindful eating, most filling foods, natural appetite suppressant, nutrition, overeating, portion sizes, protein, the mediterranean diet, to lose weight naturally, weight gain, why am i always hungry, why am i always hungry even after i eat.